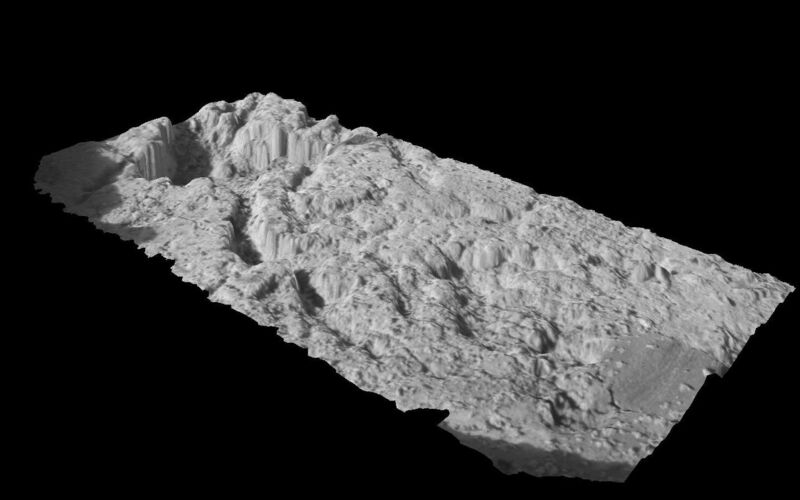 This three-dimensional model shows a postage-stamp-sized patch of the rock target in the outcrop near the Mars Exploration Rover Opportunity's landing site. A sliced sphere-like particle, or "blueberry," can be seen to the far right of the model. 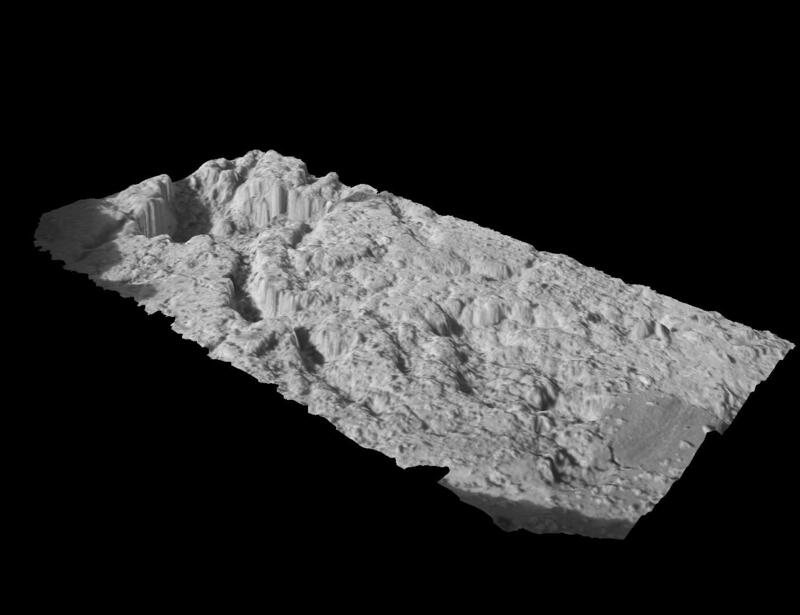 The model was created from images taken by the rover's microscopic imager, after the surface of the rock was scraped away with the rock abrasion tool.